In a slum community near the iconic Taj Mahal, we met Jyoti. Worlds away from the millions of tourists flocking to Agra, Jyoti’s mother explained how an untreated month-long bout diarrhea resulted in lasting vision loss in the young-four-year-old’s eyes. This is vitamin A deficiency - the #1 cause of preventable childhood blindness worldwide. The untreated diarrhea led to typhoid and then measles. Jyoti’s limited diet didn’t keep her immune system strong and the illnesses further depleted her body of the vitamin A that her eyes needed to function properly. Today, on World Sight Day, this a reminder that children are still unnecessarily going blind from vitamin A deficiency. 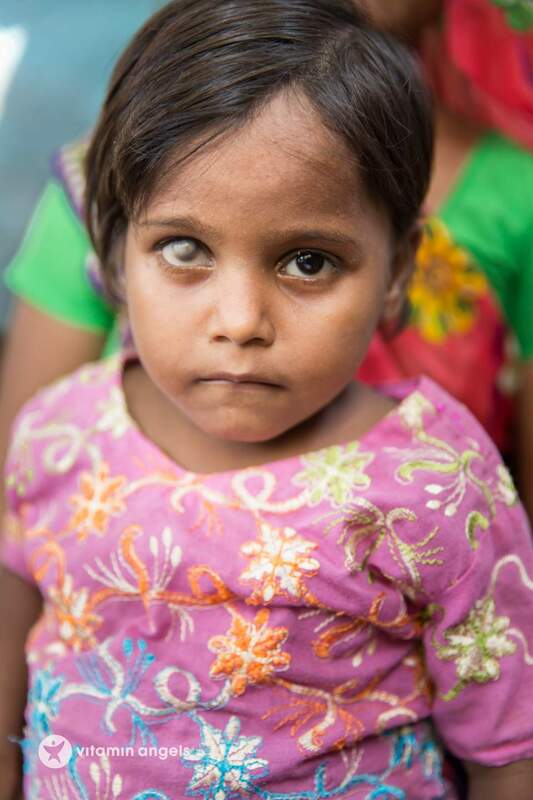 You can protect the eyesight and health of a child like Jyoti for an entire year for just 25 cents.